There’s nothing like a good cure of naked space before stripping off to the skin. 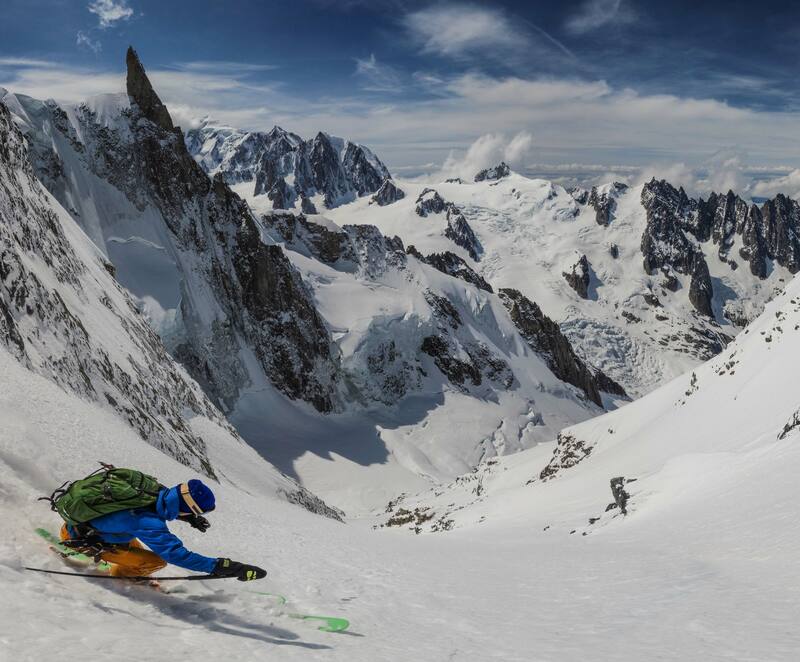 When the days lengthen and the flowers bloom again, Tom Grant, apprentice guide in Chamonix and black crows skier, likes walking the steep slopes of the Mont-Blanc massif before donning a pair of shorts and heading for the beach. These pre-summer gymnastics on ragged itineraries allow him to breathe deeply and recharge his batteries before repositioning his horizons on the horizontal and seeing the snow being transformed into water. Here is a text written by Tom at the end of his Chamonix season, when the weather lends itself to steep slopes and aperitifs, in flip-flops, on the village square . Chamonix has changed this last year. The ski scene has lost some of its swagger. We have lost too many; dear friends, inspirations and icons are no longer with us. It weighs heavily on me and it’s hard not to feel jaded, bitter. But it’s that time of year. Once more I’m in the high mountains on steep faces and it all starts to make sense again. Oh yea it’s good in here. The snow is close to perfection. 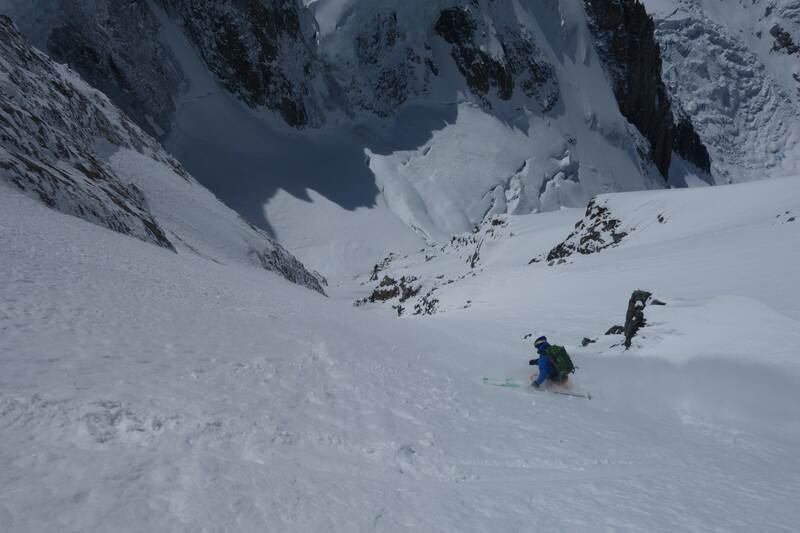 After big fast turns on the top face, the compact powder of the exit couloir is sublime. Skiing a line on the Midi North Face in good snow top to bottom is somewhat of a religious experience for me and will leave an indelible impression on all those who experience it too. This is the window of the season. It’s ephemeral, but now is the time to ski. The taste of good snow spurs on our desire to seek out something deep and soft, but we are also hungry for adventure. 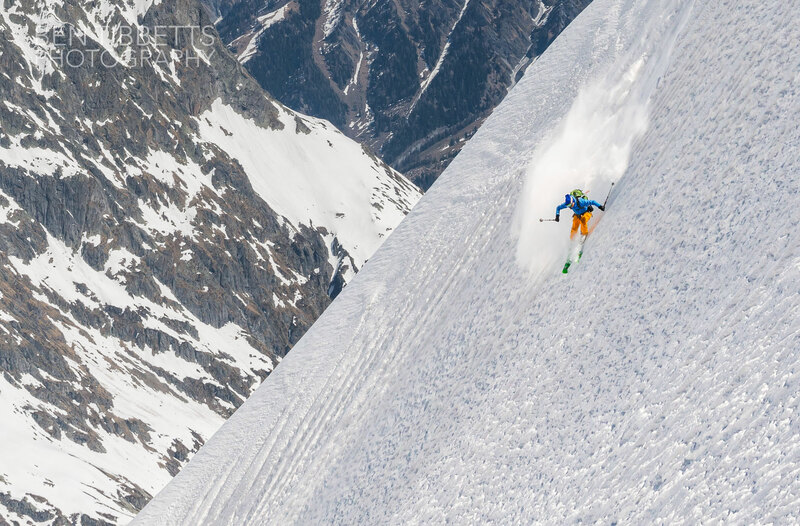 As skiers, sometimes we want to ski those lines that stare us in the face. Those which seem so obvious and yet are quite remote and committing. I will often go up the Midi and cast a glance over to the Jorasses and to the Mont Mallet West Face, wondering how the conditions are over there. When long term ski partner and fellow Crow Ross Hewitt has the idea to go there and it’s an easy sell. Alpine hardman Andy Houseman joins us for the quest. As we venture deeper into upper reaches of the wild Leschaux glacier, we are still uncertain as to what we will find. A 50-60 degree mixed face looms above us, is there a passage to climb through? It’s safer to ski the line onsight, but this adds to the uncertainty of the excursion. However, the gamble pays off and the snow is a stable 30cm of powder. This line is wild, committing and very seldom sees the passage of any riders. To share this line with good friends represents all that is best about big mountain skiing. 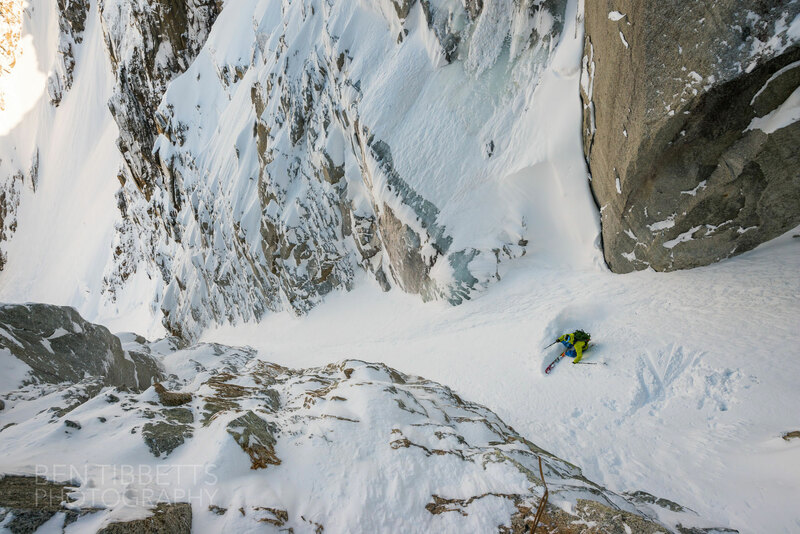 Before the premature closure of the Grand Montets, we turn our sights to a classic ski mountaineering traverse I’ve wanted to do for a long time. 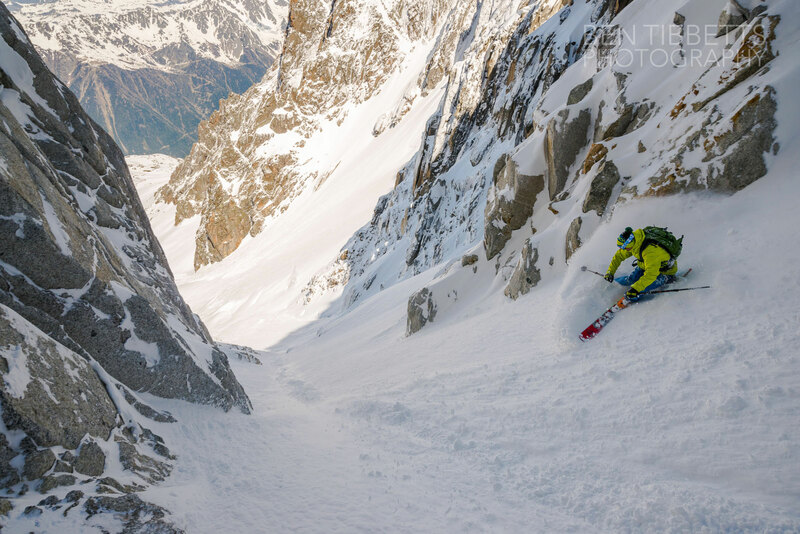 From the Argentiere Basin, up the Aiguille de l’Amone, and down its stunningly aesthetic north face and into the sleepy Swiss backwater of La Foully. I’m joined again by Ross Hewitt and Ben Tibbets. Crows on the march upwards. 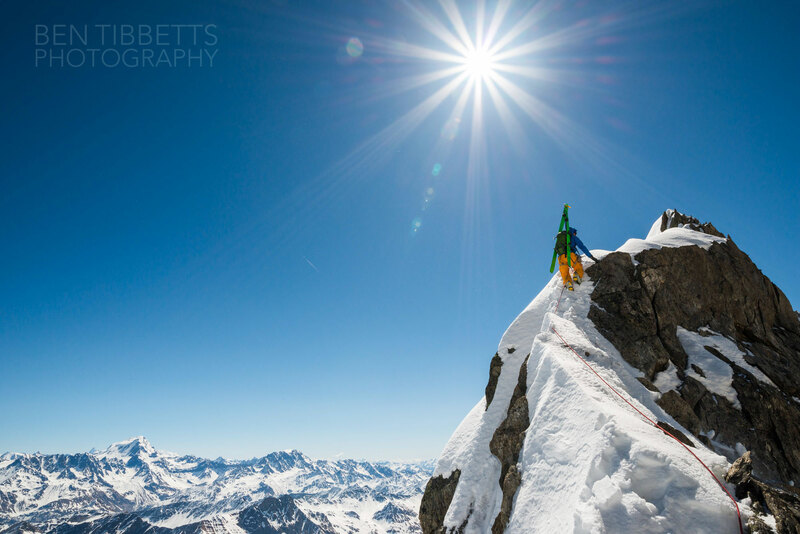 Ben Tibbets skilfully captures the beauty of the exposed ridge. Hmmm I can feel some hard neve underneath, better ski fast here. As Spring turns into early summer, conditions are getting leaner. There is no longer any powder on the north faces. Ross and I team up with visiting Italian Crow Enrico Mose; a man with pink hair and an insatiable appetite for steep skiing. 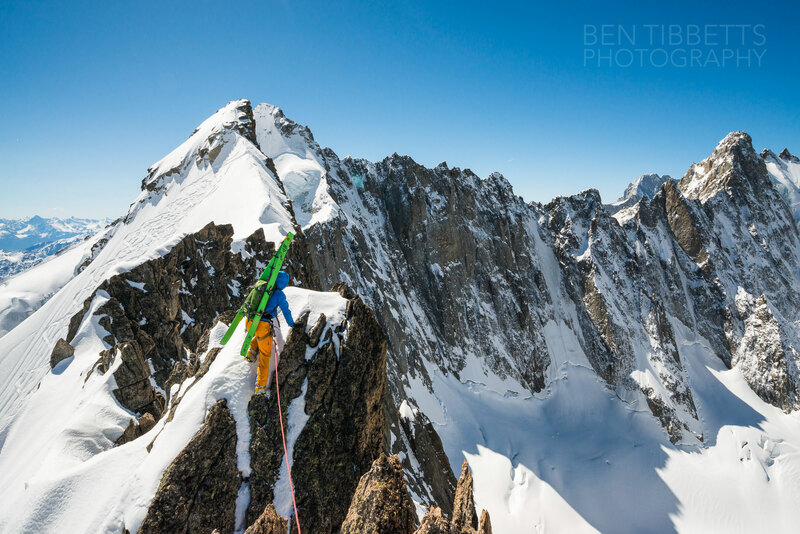 Searching for some inspiration, we scout out the mighty Brenva Face of Mont Blanc. I’ve already skied two lines on this face, but the lure of its untamed beauty keeps me coming back for more. The classic Brenva Spur looks to offer the whitest continuous slope to ski on. 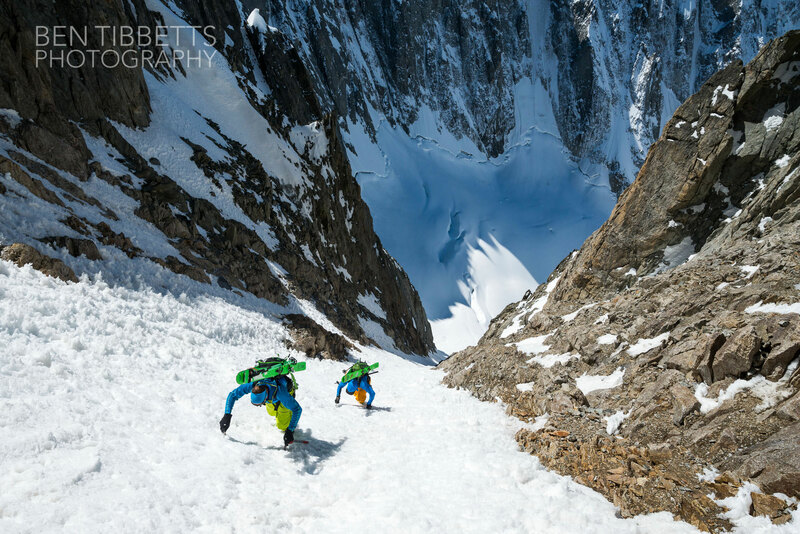 An iconic mountaineering route, it’s also the safest way up this legendary wall. As we skin back up to the Midi, the overbearing heat of the midday sun reminds us that the season is swiftly drawing to a close. My mind wanders back to past adventures with lost friends and I think about my son and about going to the beach. 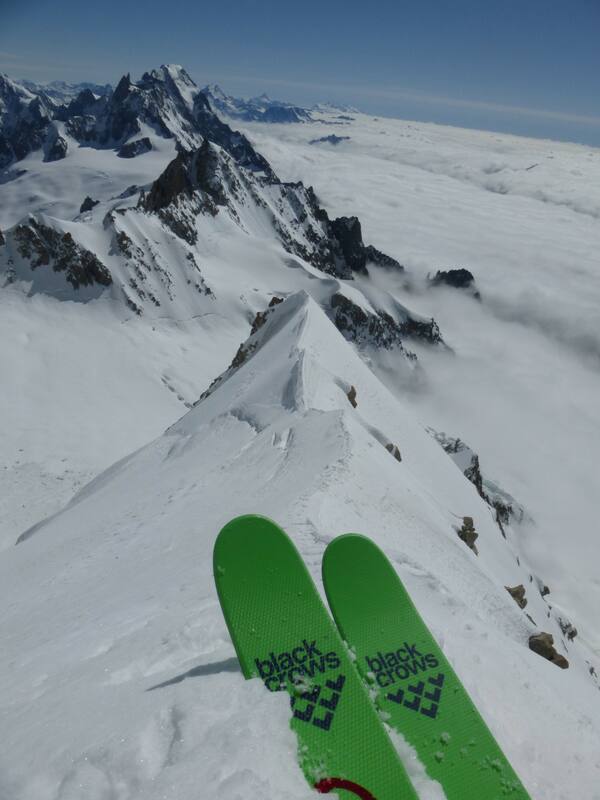 black crows skis awards winter 2016 !